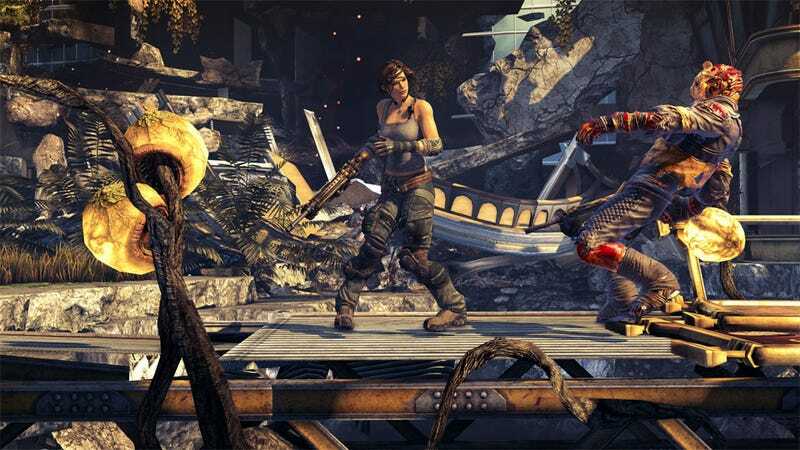 Bulletstorm, one of 2011's more surprising critical successes, wasn't as big a hit at the register, with Epic Games boss Mike Capps telling GameSpot that "From a sales perspective it was good, but not amazing. I think EA was hoping we'd do better." In terms of whether this means we'll see a sequel or not, Capps says "We thought a lot about a sequel, and had done some initial development on it, but we found a project that we thought was a better fit for People Can Fly. We haven't announced that yet, but we will be announcing it pretty soon." "I'd love to go back [to Bulletstorm]", he adds. "I think there's more to do with Bulletstorm. Heck, it kind of ended wanting more. I'd love to see another project, but right now we don't have anything to talk about." Which all sounds entirely sensible, until you get to his closing remarks about the PC version of the game, and how poorly it sold in relation to its console siblings. "We made a PC version of Bulletstorm, and it didn't do very well on PC and I think a lot of that was due to piracy. It wasn't the best PC port ever, sure, but also piracy was a pretty big problem." Um, no, it didn't do very well on PC because it was one of the worst PC "ports" in loving memory, its lack of even rudimentary video and system settings making it the least attractive proposition of the three versions.